Only one more to go. This one is also blasted with translation notes, most of them right at the beginning. Note that the second part of the story is heavily focused on a pun related to Ultraman, which most Western people haven’t watched at all… Unless you’re into monster shows, of course. Are you familiar with the term kaijuu? 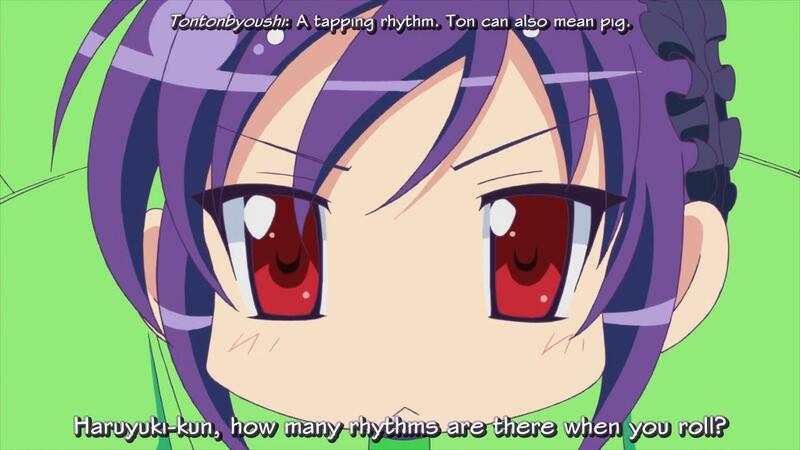 Tontonbyoushi (とんとん拍子) literally means a tapping rhythm. This term is usually applied to horses, and is quite similar as to using the term clip-clopping in the English language. However, we just can’t leave the pun with the reading of “ton” behind, can we? Of course, this refers to a pig again, so there’s like 3 puns in a row in just 10 seconds. 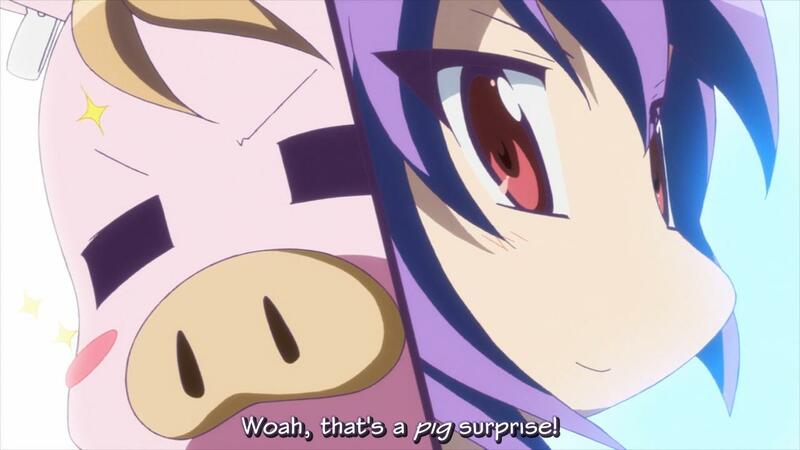 First this “tontonbyoushi” to refer to Haruyuki, but then he reacts with an ingenious Japanese onomatopoeia which actually resembles the word “Pork” in English. How far can you take a joke?! And they finish the puns with a catchphrase. Instead of using the word びっくり (bikkuri), an onomatopoeic phrase which has the generic translation of “What a surprise!”, they change the pronunciation of that word. Guess what? Yeah, she says ぴっぐり (pigguri) instead. Well done, script writers. I could explain what Twin Tail from Ultraman looks like, but I think a simple picture of him shows enough. This kaijuu(monster)’s first appearance is in “The Return of Ultraman”. 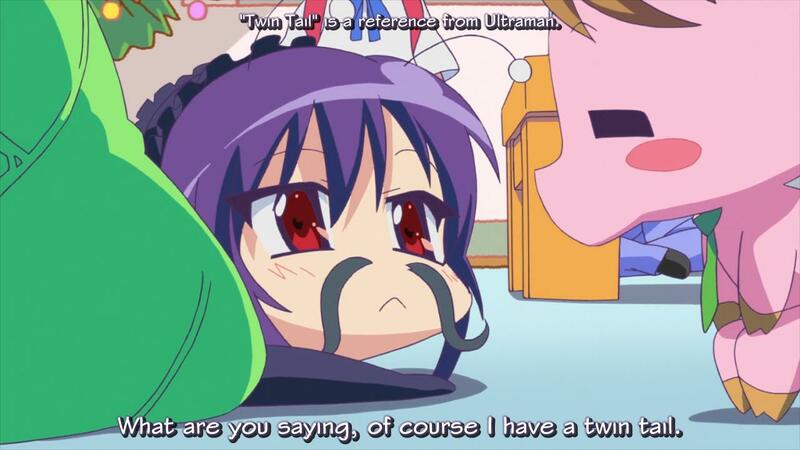 It has nothing to do with the hairstyle, but you can see how they phrased it in the anime like that. This might not really sound as convincing as it might sound, but that’s because of a pun in the pronunciation. A hermit crab in Japanese is called yadokari (ヤドカリ), and the kanji of that word (宿借), literally mean borrowing someone’s house. 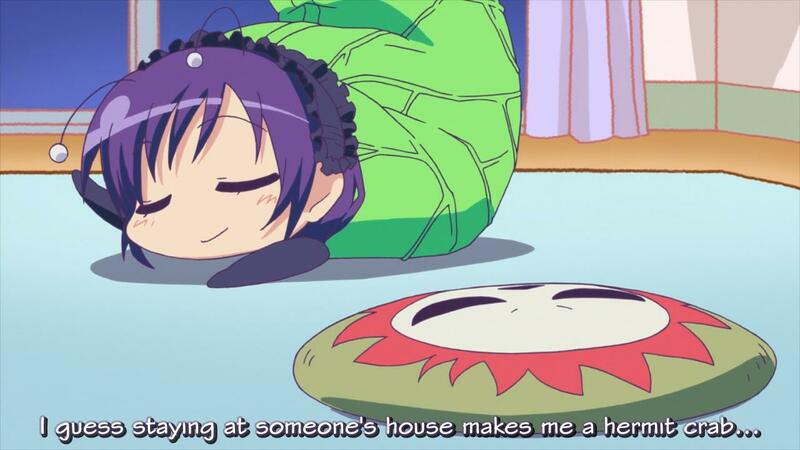 Kuroyukihime stays in Haruyuki’s house for as long as she’s hibernating, and as such is pretty much borrowing his house in the sense that she’s living there temporarily. You can see the connection by now.